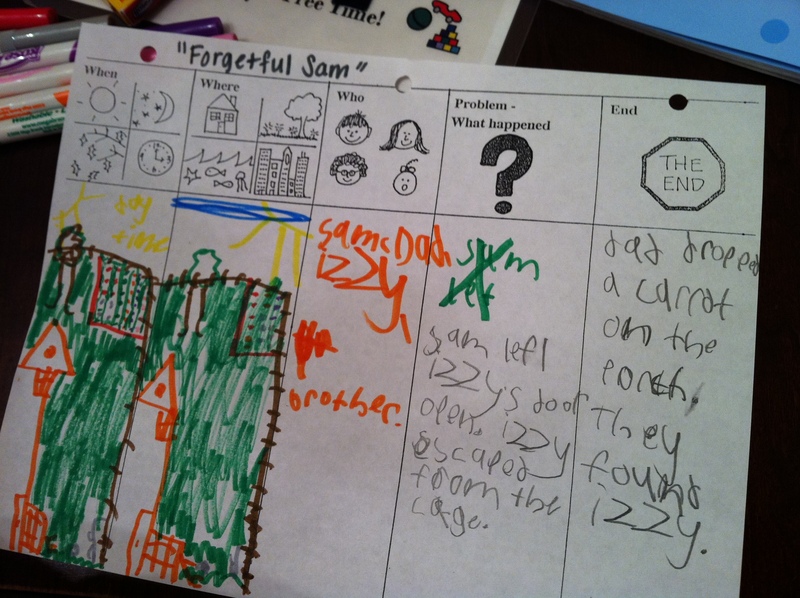 Using a storyline is a great way to help your child retell a story he or she has read. Whether using pictures or words, every story can be mapped out with some simple parts. Make sure the storyline includes a setting (when, where), the important characters, the main problem, as well as a solution or ending. Stories in our western culture contain all of these elements. While the plot can become more complex (think “Harry Potter” with many problems and solutions in each book), there is a central theme (good vs. evil) that finds a resolution at the end. When your child talks about something that happened at school that day, encourage them to use a storyline to map out the event. Their story should have a setting (Today at lunch, on the playground), the main characters involved (Me, Aidan, Mrs. Frasier), the problem (Aidan tripped and scraped his knee), the solution (I ran to get Mrs. Frasier), and an ending (Aidan’s okay now, but there was so much blood!) 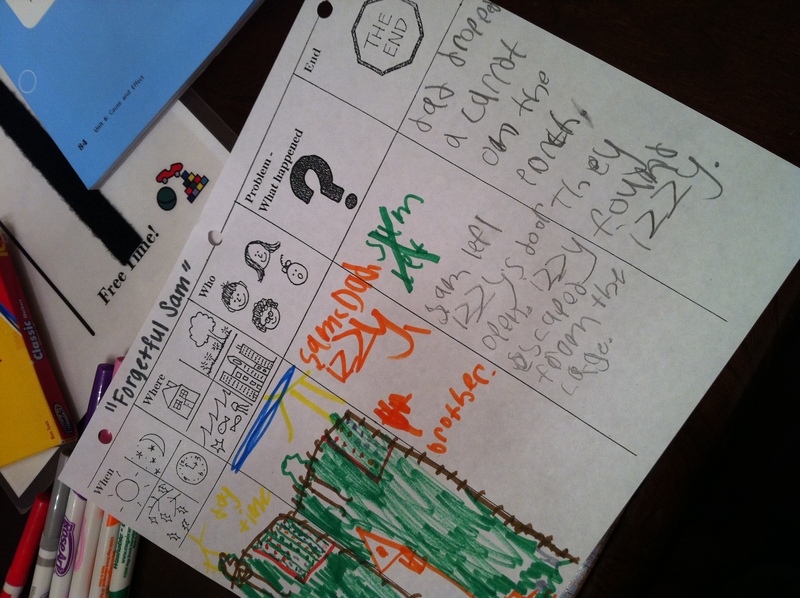 These visuals can help reinforce the important pieces of any story retell.